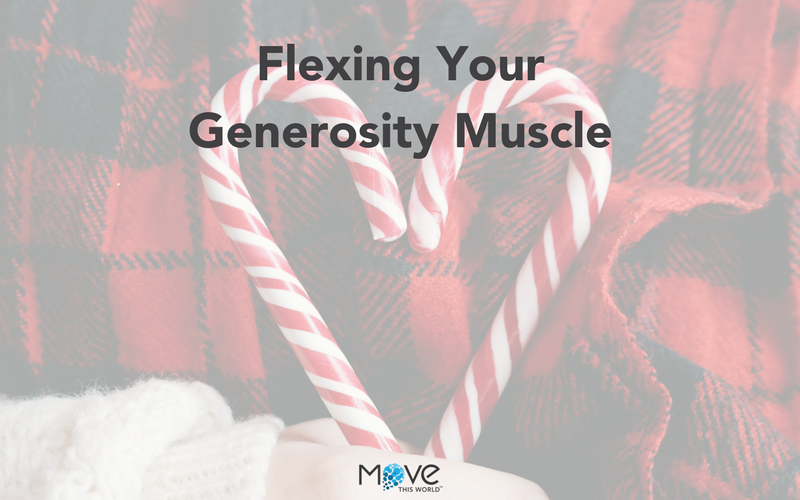 4 positive effects you can expect when you flex your generosity muscle. During the holiday season, many people are focused on giving. Giving gifts to loved ones, giving donations to charities, or giving time for volunteer work. Giving is supposed to make us feel good, and is scientifically proven to do so. Research has shown that altruism, or a selfless concern for the wellbeing of others, is linked to increased life satisfaction, improved physical health, greater feelings of happiness and longer life expectancy. Although the holidays serve as a wonderful reminder to give, it’s clear that generosity should be a regular practice we uphold. So, what positive effects can you expect to feel this holiday season (and hopefully year round)? Generosity increases our life satisfaction and happiness. Generosity through volunteering or giving can give people a greater sense of purpose and satisfaction with their life. In a study conducted by social psychologist Liz Dunn, people were given a specified amount of money, which they were able to donate to others or keep for themselves. Not only did the people who donated money report feeling happy, but the study also showed that giving away more money led to increased happiness. The people that chose to keep the money reported feeling shame and the levels of cortisol in their bodies actually rose, which can lead to stress and disease over time. Generosity improves our mental and physical health. In his book, Good Things Happen to Good People, Stephen Post shares that people with chronic illnesses experienced health benefits after demonstrating generosity by giving to others. The act of giving has been linked to decreasing stress, blood pressure and depression while increasing self esteem. Generosity forms meaningful social connections. Generosity and giving invokes feelings of trust and cooperation between people. Additionally, research shows that when you give, you are more likely to receive (although that shouldn’t be your intention). People tend to fall into a “pay it forward” mindset, if people are on the receiving end of generosity they are inspired to be more generous to others. These positive social interactions also contribute to improved mental and physical health. A 2012 study demonstrated that people who volunteered somewhat regularly lived longer. However, this was only true if their intentions were genuinely altruistic rather than trying to benefit themselves in some way. How might generosity help us live longer? There is a significant correlation between helping others, stressful events and mortality. Giving to others can significantly decrease stress levels, which in turn decreases the negative health consequences associated with it. It can be tempting, particularly around the holidays, to view giving as purchasing, wrapping and handing out your holiday gifts. However, giving and generosity don’t have to involve spending money or material possessions. Giving can mean volunteering at a shelter or a school. You could raise money and donate to a cause that’s meaningful for you. You can look into local community organizations to see if they are accepting donations of food or winter clothing that you no longer need or intend to use. Giving can even be as simple as helping someone at work – one study by Thomas DeLerie shows that altruism in the workplace also increases happiness. Find something that is meaningful for you and keep in mind, generosity can and should last all year round.